Who is the greatest football player ever to come out of BYU, Utah, Utah State? Picking the greatest among the greats is always a complicated deal. It’s also a whole lot of fun. The exercise here isn’t to declare any kind of absolute or universal truth, it’s to stumble upon relative truth, and roll with it. In that spirit, what’s presented on this page are/could be the best football players to ever come out of BYU, Utah and Utah State, with three selected, one from each school, covering a span over the last 15 years (from the draft date), and three, one from each school, covering all the years — which is to say, three all-time greats, and, then, from those finalists, the single greatest player ever. Yeah, it’s subjective and unscientific, yet fairly bang on … unless, of course, you disagree. Greatness’s definition for this includes the totality of playing days, both in college and in the pros, with more weight given to NFL careers, considering that obviously is where the best football on the planet is played, where the best players are established. BYU • Plainly put, there’s not much from which to pick, at least compared with the all-timers. Dennis Pitta might have gotten more consideration had he played over a longer period. He was dominant at tight end for the Cougars, catching 221 balls for 2,883 yards and 21 touchdowns. Drafted in 2010, he was headed for lofty things with the Baltimore Ravens — until a couple of hip injuries interrupted his ascent. Ziggy Ansah has the best backstory, coming out of Africa without a clue how to put on his gear, then coming on strong during his senior year in Provo. He was drafted by the Lions with the fifth overall pick in 2013, and his future is bright, even though his sample size is short. 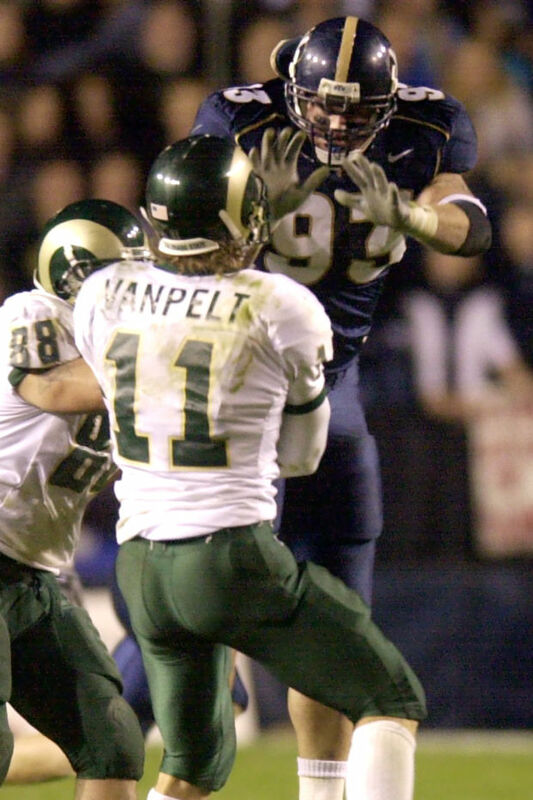 Kyle Van Noy was a force for the Cougars, becoming an unparalleled defensive star. But, after being taken by the Lions with the 40th overall selection in 2014, and battling injury during his rookie season, his pro sample size is still shorter. Then there’s Brett Keisel. Not exactly a choice with much flash and panache, but … whose fault is that? Selected in the seventh round of the 2002 draft by the Pittsburgh Steelers, defensive end Keisel was solid, not spectacular at BYU. But he enjoyed a long pro career that lasted until he was released earlier this year. He was a Pro Bowl selection in 2010 and played for two Steelers teams that won Super Bowls and three that won AFC Championships. He racked up 409 tackles, 30 quarterback sacks, two interceptions and one touchdown — on a 79-yard interception return. 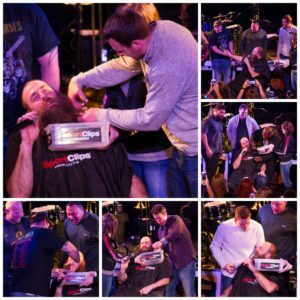 Moreover, he grew the most famous beard in the NFL, a beard that was meant to bring the Steelers luck, but that ended up fetching thousands of dollars when he shaved it annually for charity, donating the money to hospitalized children.